We're a bionics company developing affordable, assistive devices that enhance the human body. We've started by introducing the Hero Arm, a stylish multi-grip bionic hand. Current upper limb prostheses exist as hooks, grippers, or expensive bionic hands. We're on a mission to make beautiful bionic limbs more accessible. Aged 17, Joel Gibbard began tinkering with robotic hands. There was something about the movement of a disembodied humanoid hand that captured his imagination. 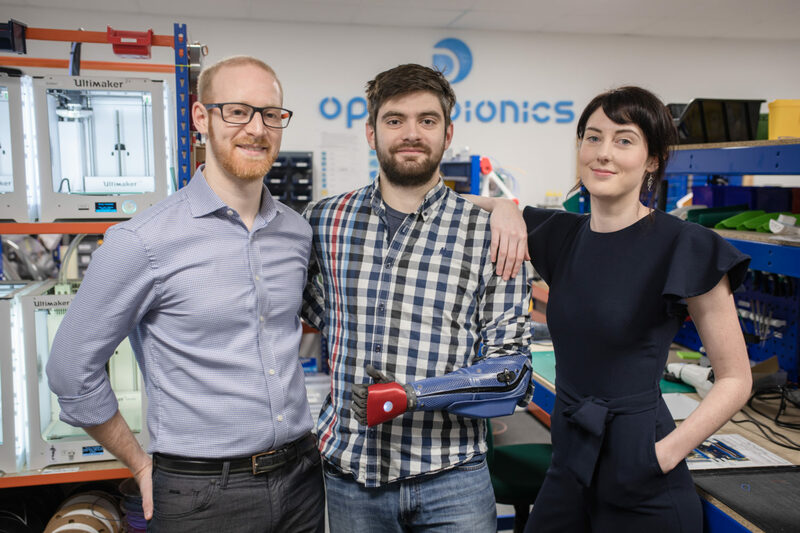 Hundreds of prototypes and many crates of failures later, in 2014, Joel co-founded Open Bionics with Samantha Payne. 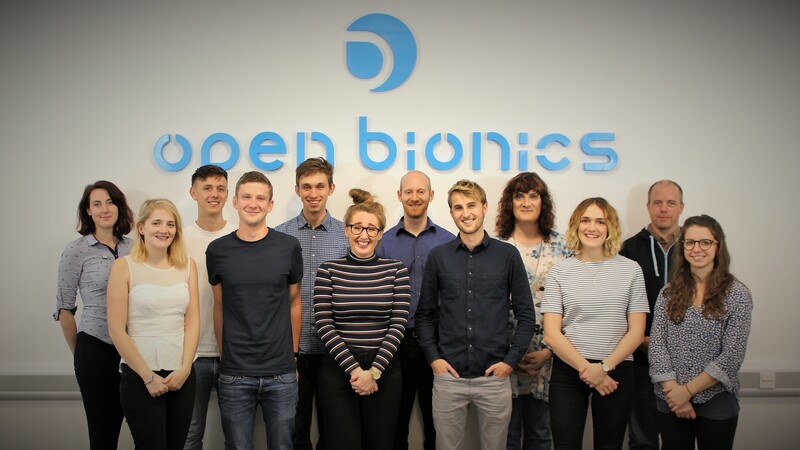 The Open Bionics co-founders were recently named as the 2018 Hottest Startup Founders in Europe, at The Europa Awards. With the help of an awesome team and the support of the limb different community, they’re pioneering a new bionic age inspired by science fiction. Over the last few years, we’ve won several coveted awards, including a James Dyson Award for Engineering, a Wired Social Innovation Award, and even a Guinness World Record. 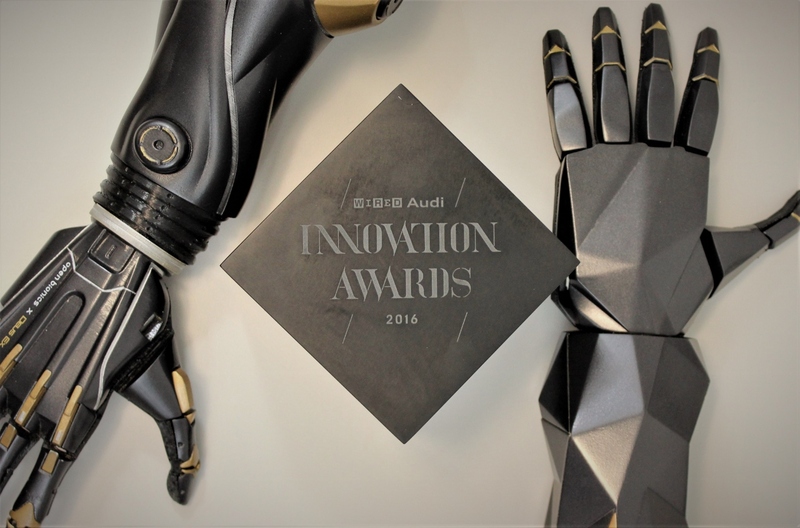 In 2017, we picked up the $1 million UAE AI & Robotics International Award for Good, which gave us the momentum to complete development of the Hero Arm. A huge fist-bump to everyone who has supported us so far. At Open Bionics, we turn children with limb differences into bionic heroes and make science fiction a reality. As if cutting-edge bionic arms weren’t cool enough, we’re incredibly fortunate to be working with Disney to develop a range of Hero Arm covers, starting with designs from the Star Wars, Marvel and Frozen universes. We’ve also worked with Eidos-Montreal to bring you super slick Deus Ex covers for the Hero Arm. 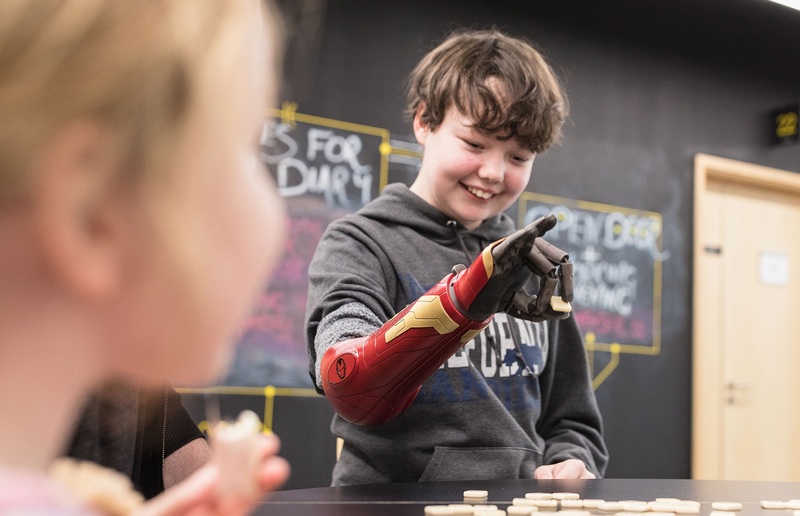 We’re proud to be working with NHS England, the Bristol Centre for Enablement, Bath University, and Gyrobot on a world-first clinical trial to make affordable bionic arms available for children in the UK. Following a successful first stage of the trial in June 2017 with 7 Bristol-based children, we’re planning a second stage of the trial with multiple NHS clinics around the UK. At Open Bionics, we believe the fastest way to innovate is to share R&D. We’re open source, which means our technology is available to anyone who wants to take our work and develop it. With more minds working on a problem, a good solution will be found faster. 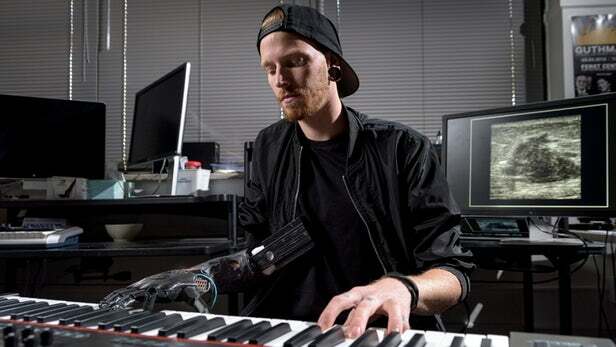 Recently, researchers in the USA evolved our technology to create ultrasound-powered bionic arms capable of playing the piano. Go Georgia Tech! Good, we love questions. Questions are the bedrock of innovation. But first, please have a read through our FAQs. If you can't find an answer, ping us an email. We can't wait to hear from you.